On Monday night, District Attorney Summer Stephan attended the vigil at Congregation Beth Israel for the victims of the shooting at the Tree of Life Synagogue in Pittsburgh. She stood on stage and sat in the front row. However, when asked by a reporter from Times of San Diego about the anti-Semitic website that her campaign launched attacking George Soros during the June primary election, Ms. Stephan refused to answer any questions or acknowledge the issue. As the leadership team of the campaign for Geneviéve Jones-Wright, the target of Ms. Stephan’s race-baiting and fear-mongering, we watched in horror as the voters of San Diego fell for hateful scare tactics. Summer Stephan stoked anti-Semitic fears during her campaign for district attorney. In spite of concerns from the Jewish community, and questions from the media, she never acknowledged or apologized for the actions of herself and her campaign staff. Her anti-Semitic dog-whistling was not limited to a website. She spent nearly a year using the specter of George Soros with the media, donors and political power players to gain support for her campaign. She sent fundraising emails, held press conferences, gave television interviews, and even brought it up in debates and public appearances. Summer Stephan called a Holocaust survivor a threat to our city and used Antifa imagery to support her claims that he was dangerous. She was not shy about using fear and nationalism to score political points. 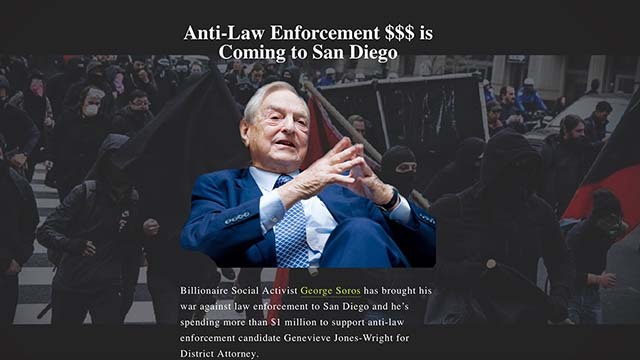 Summer Stephan routinely refused to address concerns from the community that her website and rhetoric was anti-Semitic and falsely misrepresented both Ms. Jones-Wright and Mr. Soros. Stephan also allowed hateful and threatening comments to remain on anti-Soros posts she made throughout her social media accounts. It is exactly this kind of fear-mongering that fuels hate and bigotry, often with tragic consequences. Only now, in the wake of the tragic shooting in Pittsburgh where Jewish congregants were literally gunned down while praying, and after the attempted bombings last week by the #MAGA Bomber who sent bombs to several people, including to Mr. Soros himself, has Ms. Stephan finally removed her hate-filled website. Both terror attacks were fueled by anti-Semitism, with both the bomber and the shooter expressing their hatred on social media platforms and referencing anti-Jewish sentiment held by elected officials including President Trump. Stephan may now choose to call for “unity” and “dignity and respect“ for all people, but it doesn’t erase the anti-Semitic rhetoric she used during her campaign, nor does it erase the space she created for hatred and bigotry to grow in San Diego County. Despite her attendance at Sunday evening’s vigil, articles and interviews about Mr. Soros still appear on her campaign website itself. This is not a thing of the past. As the person charged with public safety for San Diego County, which has seen an increase in overall hate crimes and an increase in anti-Semitic incidents, Summer Stephan must apologize for her part in stoking anti-Semitic, nationalist rhetoric before she can be trusted to keep the community safe. While she may have removed the website, she has refused to comment on it or take responsibility for her actions. Her continued silence makes her complicit in any anti-Semitic hatred that brews in our city, and God forbid any violence that should result from that hatred. Eva Posner was campaign consultant for Jones-Wright. 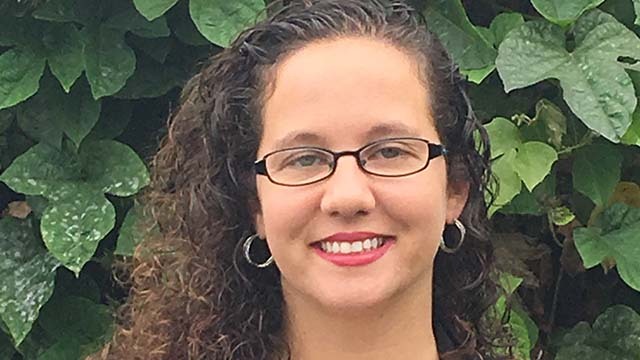 Her family is active in the Pittsburgh Jewish community and attends a neighboring synagogue. Mary Latibashvili was Jones-Wright campaign manager. She is an immigrant from Georgia. Susannah Bankhead was deputy campaign manager for Jones-Wright. She has lived the better part of three decades in San Diego County and has many colleagues and close friends in the local Jewish and immigrant communities. Jay Bartell was the field director for Jones-Wright. A native San Diegan, he has been active in the local Jewish community his entire life. He was high school youth director at Temple Emanu-El for 2 1/2 years.